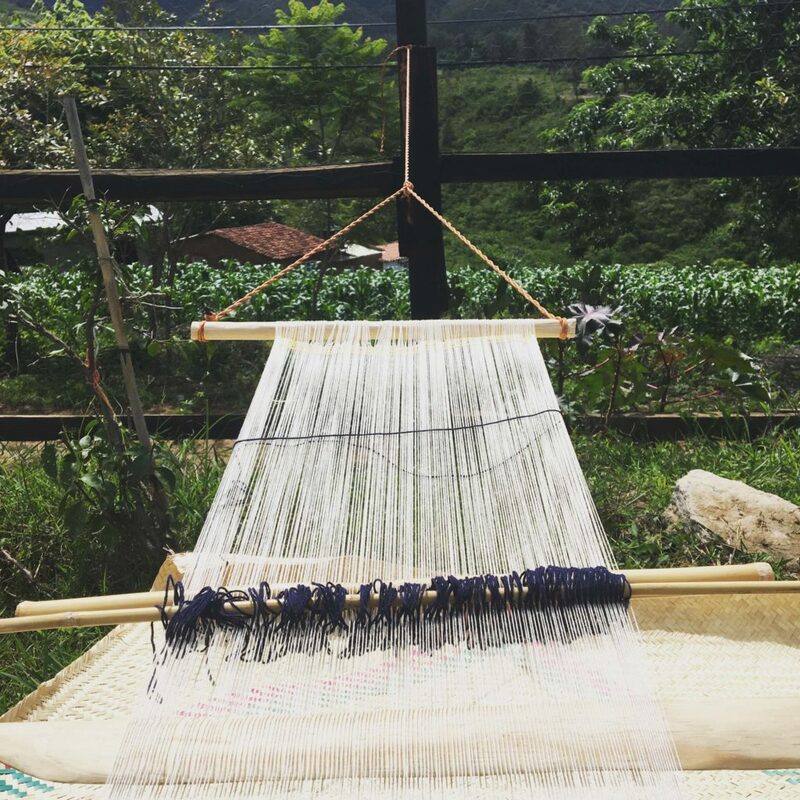 For the past month, I had the opportunity to attend a Mexican Textiles instructional artist residency program through Arquetopia in Oaxaca, Mexico. Arquetopia is a non-profit arts organization with multiple residency programs for artist around the globe. FSU’s Exceptional Opportunity Award as well as generosity found in a Kickstarter campaign allowed this to happen. For the first three weeks, I received instruction from a master weaver three times a week. Norma taught me the process as well as symbols and traditions found in backstrap weaving. My fellow residents and I had the opportunity to explore the region in addition to our individual residency programs. We had weekly field trips with the residency program as well as time to adventure on our own. My fourth week was self-directed, so I was able to finish up pieces and plan for my studio work after my return home. Four weeks in Oaxaca have resulted in my cultural immersion, the knowledge of a new method of working, and an experience to share. I have successfully learned how to weave on a backstrap loom with the help of a master weaver. I have been able to create a small series of weavings while here, as well as generate ideas for ones to complete at home. In addition to weaving, I have also been photographing and drawing the places I have traveled to. I will be making large-scale drawings and watercolor paintings from these small works. This experience has helped me progress forward in my practice after completing my MFA. This gives me a new route to explore and helps me push myself to continue making after graduate study. I am so thankful for the support of the FSU Art Department over my pursuit of my MFA and in my summer art experiences. In April of 2017 I have an exhibition titled Since Oaxaca at 621 Gallery in Railroad Square and will be sharing artwork made in response to this experience. Over my time in Oaxaca, I kept a small blog on my website. You can visit to see more photos and writing at www.gaelin-craighead.com.